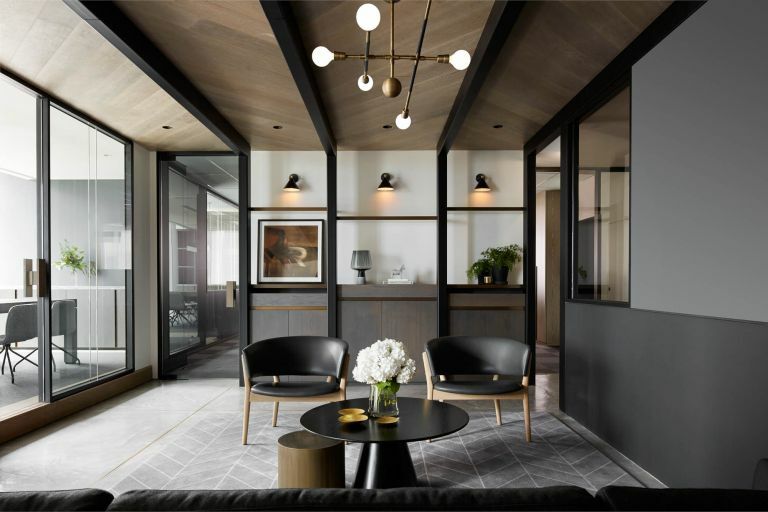 Designed by Carr Design Group and brought to life by Schiavello Construction VIC, the Salta Properties office in Melbourne embraces the calming nature of a darker colour palette mixed with a sense of order and meticulousness. 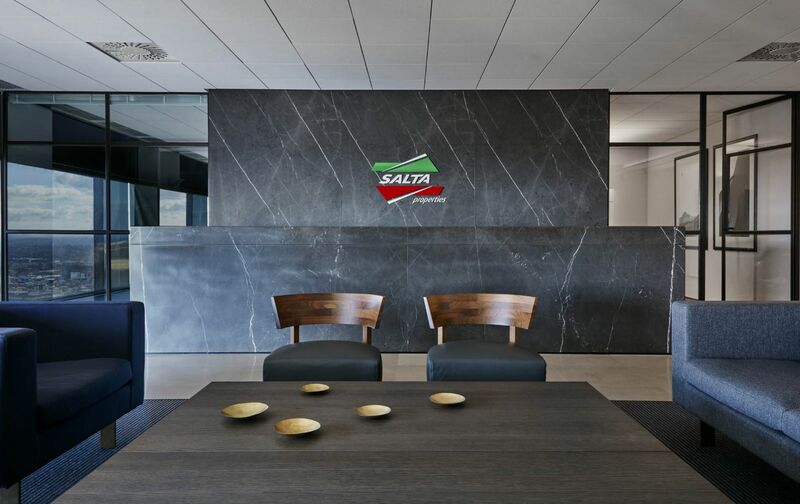 Through close collaboration with the client and architect, our VIC construction team provided Salta Properties with a corporate office with a distinctly residential feel. Visually similar to a luxury residential space, the reception greets clients with an almost lounge room setting. The enormous coffee table and comfortable seating options are instantly relaxing. 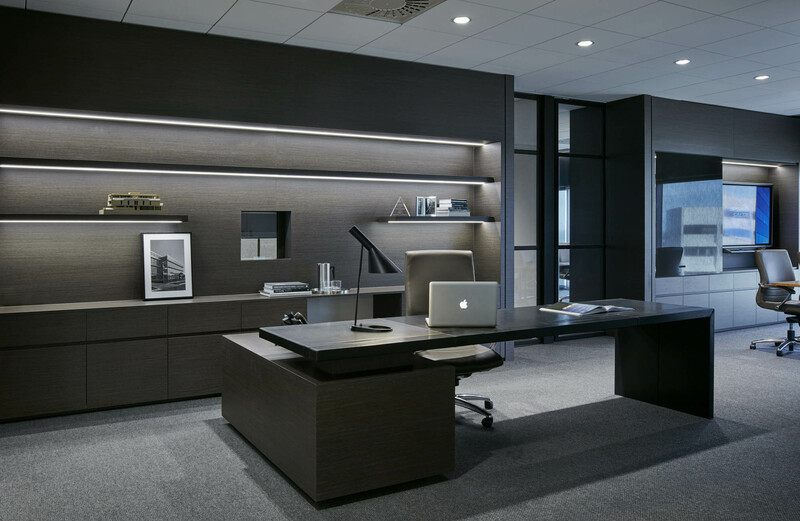 The reception desk and back wall are constructed of dark striated stone. The stone is repeated as a feature wall at the opposite end of the room, giving the space an air of sophistication. 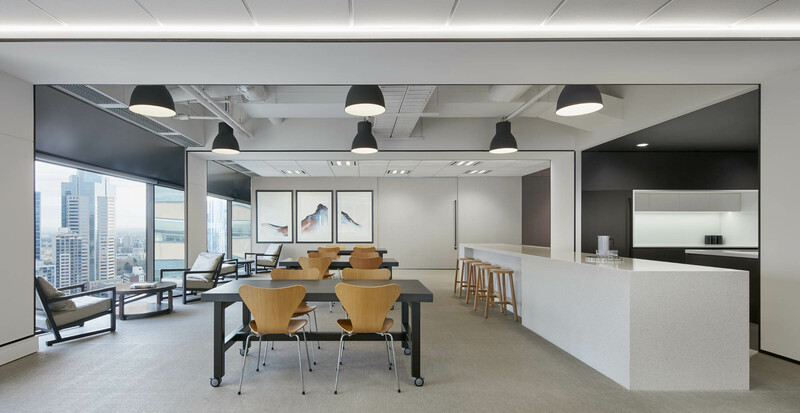 The monochromatic breakout space is characterised by the liberal use of white. White is featured on the wall, bench top and semi-exposed ceiling. Clean black lines and industrial pendant lighting accentuate the space. 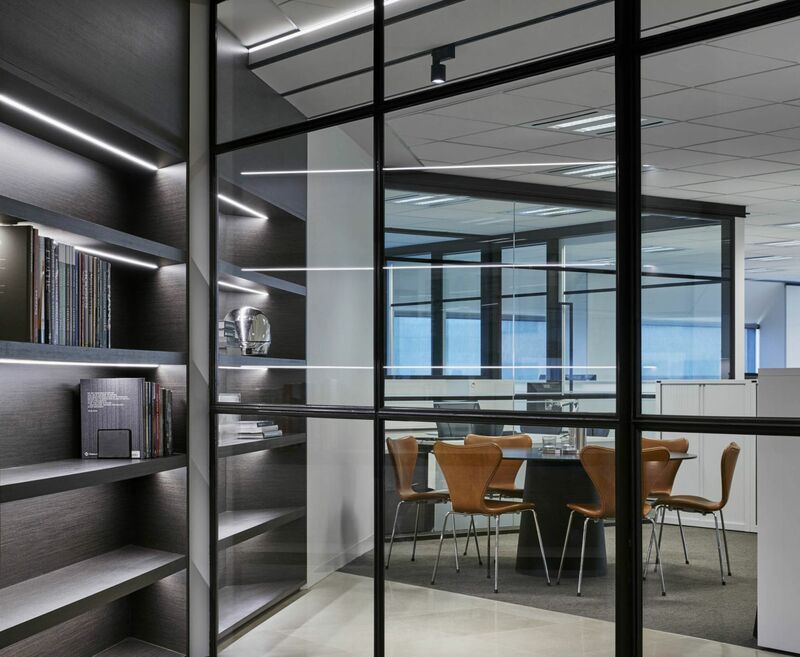 A large sliding door was constructed to sit almost invisibly on the far wall; adding functionality while keeping to the clean aesthetics of the breakout space. 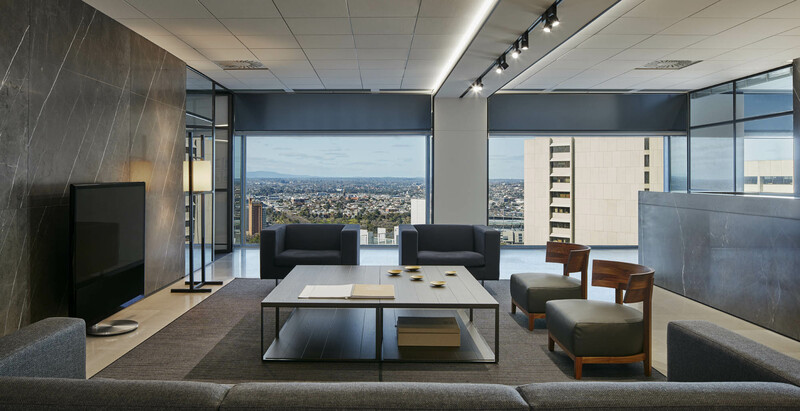 Simple and elegant furnishings add warmth, while feature ceiling tiles with recessed LED lighting adds depth. The skills and experience of our VIC construction team resulted in the project coming together seamlessly, with minimal disruption or delays to the programme. 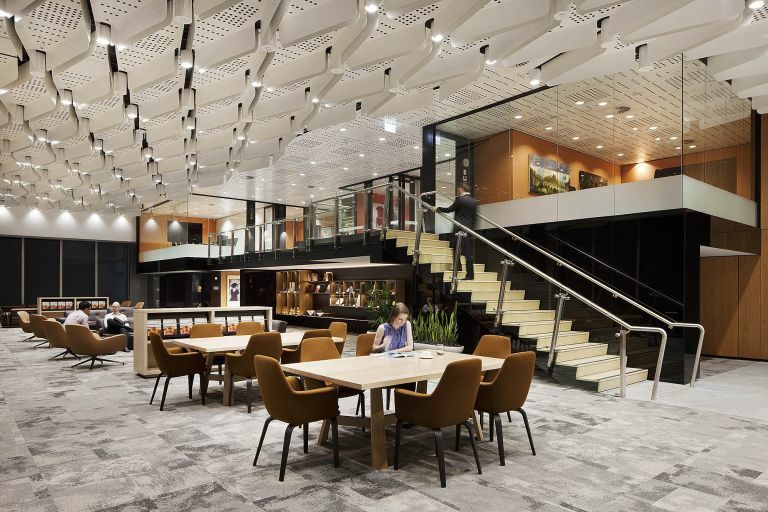 Designed by Geyer, Schiavello delivered fitout of ground floor business centre, open plan workspace, meeting spaces, and shower and change room facilities. Relocating office, or need a refresh? Copyright © 2018 Schiavello Construction. All Rights Reserved.